Last weekend was the Elite Model Look which held here in Lagos but we are still swooning over the event! 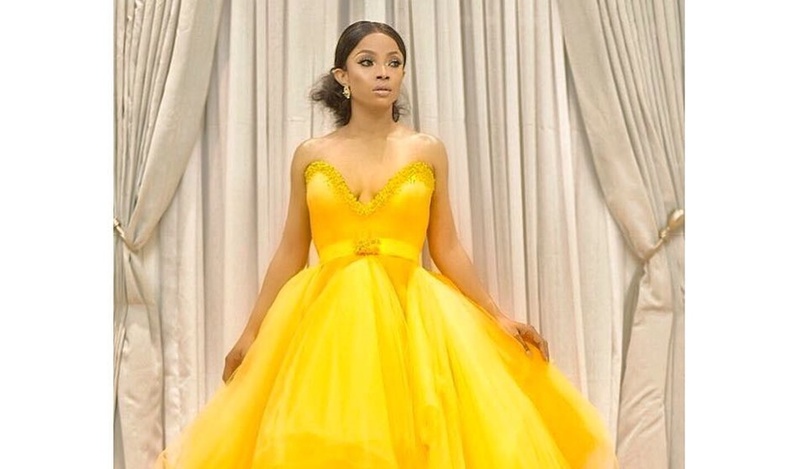 Apart from Toke Makinwa winning the best dressed (in my opinion which she deserved) we totally loved the fact that she stunned in this yellow dress made by South African designer Gert-Johan Coertzee. Toke feels like a “Disney princess” in her custom-made dress. This dress can also be a bridal inspiration for brides who love the ball gowns. Did she slay or nah? Let’s herar it! fashionGert-Johan CoetzeeLook of the dayStyleVickie O.